Writing well does not result from following rules and instructions, but from a blend of spontaneity, judgment, and a wise attitude toward the work—neither despairing nor defensive, but clear-eyed, courageous, and discerning. Writers must learn to tolerate the early stages, the dreamlike and irrational states of mind, and then to move from jottings and ideas to a messy first draft, and onward into the work of revision. Understanding these stages is key. 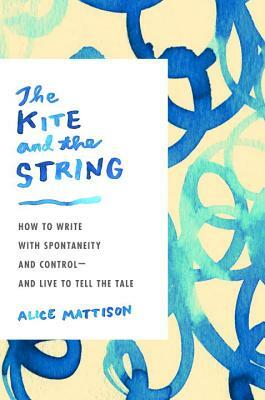 Alice Mattison is a widely acclaimed author and longtime writing teacher. She has published six novels—including The Book Borrower, Nothing Is Quite Forgotten in Brooklyn, and When We Argued All Night, a New York Times Book Review Editors' Choice—as well as four collections of short stories and a collection of poems. Twelve of her stories have appeared in The New Yorker, and other work has been published in The New York Times, Ploughshares, and Ecotone and anthologized in The Pushcart Prize, PEN/O. Henry Prize Stories, and Best American Short Stories. A frequent panelist at AWP and other writing conferences, she has held residencies at Yaddo and the MacDowell Colony. She has taught at Brooklyn College, Yale University, and, for the last twenty-one years, in the Bennington Writing Seminars, the MFA program at Bennington College.